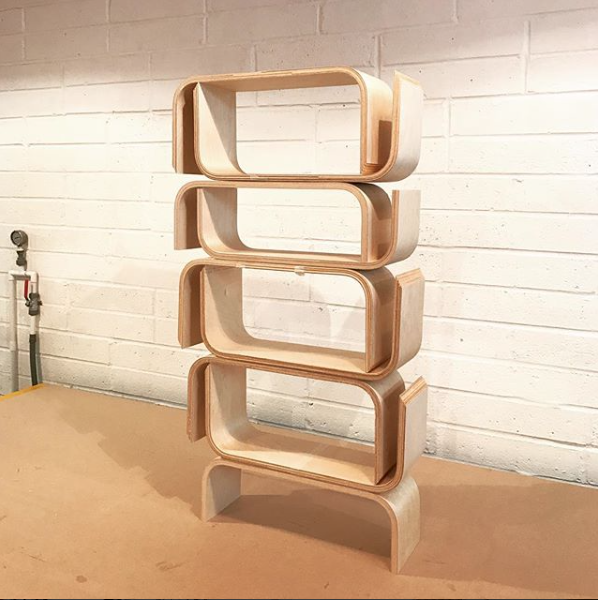 One of Lozi's first pieces, find out everything you need to know about our minimal freestanding plywood shelves ! If you have been watching our social channels in the last few days, you may have noticed Lozi's exciting new project coming up! Interior stylist superstar Kate McPhee as created a beautiful series of room-sets for Good Homes Magazine to be displayed at The Ideal Home Show, from the 17th of March until the 2nd of April at The Olympia in Kensington. Using beautiful colours from Crown paints, each room is full of fantastic design inspiration from well known designers as well as niche brands. This year’s living room is going back to basics with pared-back furniture and rustic accessories. A warm palette of mustard, rose and burnt orange, along with the tactile sofa and focal fireplace, enhances the slow living feel. Our beautiful U shelves will be on display, and we thought this would be the perfect time to take a closer look at one of Lozi's best loved and most influential pieces. Lozi's very first photoshoot with the U shelf back in 2013. Making their first appearance in 2013, the original U shelves (then named the U and L shape shelves) were part of Lozi's very first collection. To create that first collection, Lozi's founder Soroush built a vacuum press from scratch, allowing him to use suction and preassure rather than steam to shape the wood. The U shelf was the very first piece developed whilst still testing the vacuum press. 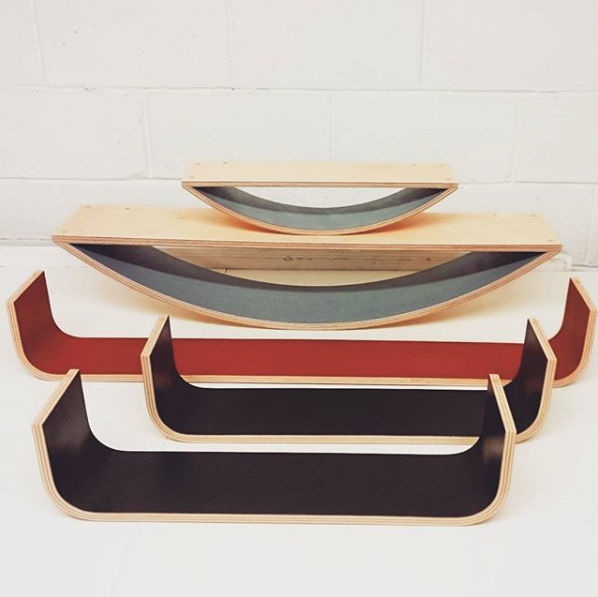 The simplicity of the curve allowed Soroush to experiment with different materials, thickness of ply and the angle of the curve to develop a design that is not only elegant and aesthetically pleasing but also structurally sound. Many shelves were discarded and thrown out in the process of finding the perfect method of layering the wood so it didn't crack or split and could bear enough weight. The U shelf was originally available in two different shapes: a long U shape, with both ends curving up as well as an L shape, with one end left open. The original U shelves could be paired up and attached to one another, though this version was quickly discontinued and they proved to be difficult to attach to the wall and were often not quite straight... The L shape version was discontinued in 2017. The exact curve on this shelf hasn't changed since the early prototypes. In fact it is one of the most popular curves across the Lozi brand. Look carefully and you can find it again on our chest of drawers, modular storage and on the corner of the bedframe. 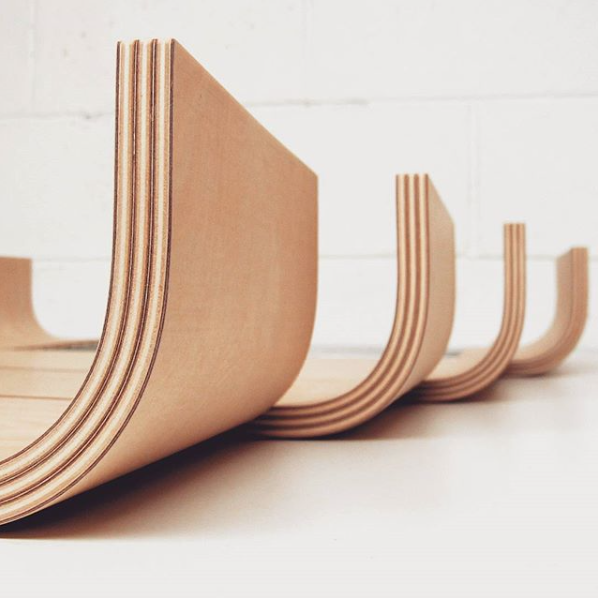 Originally made from MDF plies finished in wood veneer, they are now made entirely from birch plywood, vacuum pressed into shape from our workshop on Hackney Road. After the CNC cuts each ply to shape, they are covered in glue and layered over a jig then vacuum pressed for 5 hours to retain their shape. They are then sanded, checked for imperfections and oiled, giving the perfect finish expected from a Lozi piece. These shelves have proven particularly popular in kitchens, with many clients requesting them to be made to match their bespoke Lozi kitchen. Have a look at our clients beautifully styled shelves below and get touch for your custom design with the form at the bottom of the page. 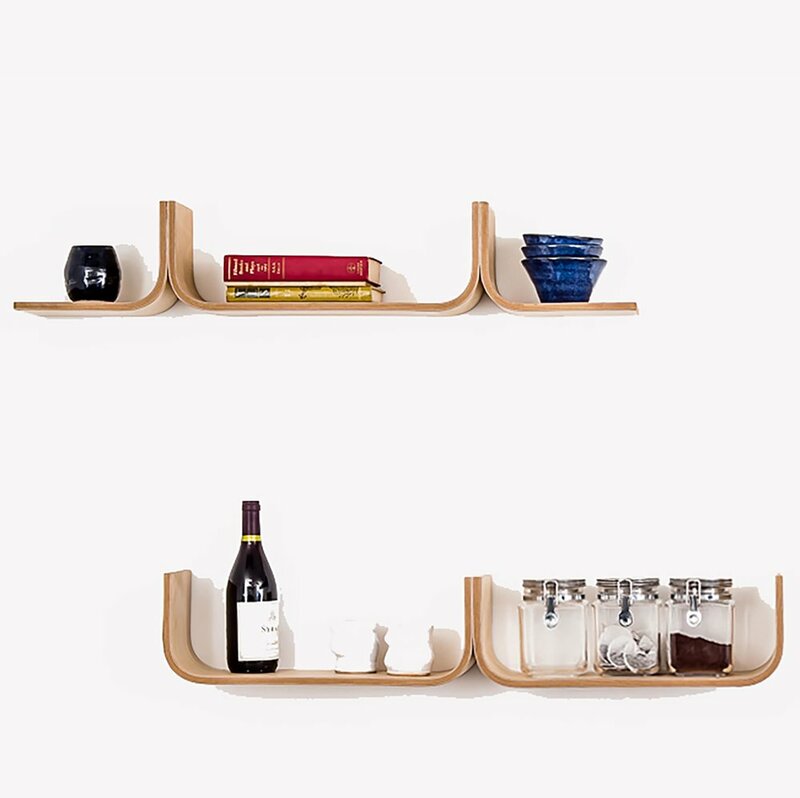 Our U shelves are available in Lozi's online shop. Check out our charming Smile Shelves too! Discover all the Lozi pieces on display at the Ideal Home Show! Get in touch for your custom shelving project!